Today the mainstream media are claiming that there has been a chemical attack by the Syrian government near Damascus even whilst an UN inspection team arrives. The reports have been conflicting with the initial reports claiming 280 victims and then later up-ing it to over 1,300 killed. However, the claims are predominantly coming from the so called Free Syrian Army who are backed and funded by some of the despotic Gulf States, as well as Saudi Arabia and by the Western powers principally France, USA and UK. This same group is made up mercenaries of all kinds including members of Al Qaeda who want to turn the country backwards and bring in Sharia Law and just back in May 2013 the UN accused the Syrian rebels of using chemical weapons. What is most telling though is that it makes absolutely no sense for the Syrian government to do this. In recent months they have retaken areas held by rebels and seem to have repelled several attack campaigns in the past two year. And France in particular as well as the other powers have been consistently in the last year being trying to throw the mud of chemical weapons and then chemical weapon attacks in a clear effort to force public opinion to back no-fly zones and from there total demolition of the country and invasion followed later by a pliant regime. The end game is to clear the way for an attack on Iran which the crazies have been pushing hard for many years. The EU bailout in Cyprus seems, on the surface to have taken on board some good ideas such as burning bondholders, capital flight controls, and much more limited small depositors state bank guarantee scheme, but does this stand up to closer inspection or have they just used these good ideas in a rather twisted way to further the same old financial terrorist agendas? 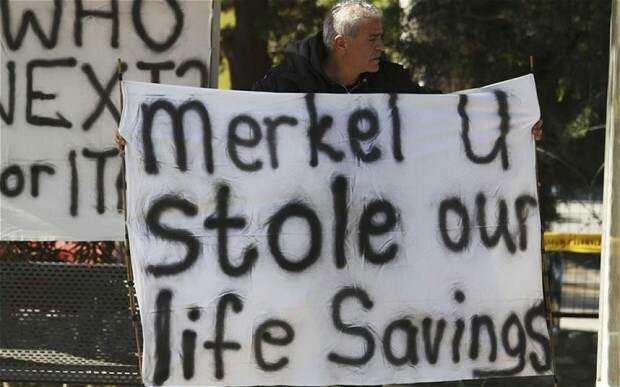 External Related Links: The European Union’s looting of Cyprus | Cyprus faces deep recession, high unemployment after bank bailout | Global Deposit Confiscation Called For By Bilderberg Member and CEO Of Italy’s Largest Bank | Canada Includes Depositor Haircut Bail-In Provision For Systemically Important Banks in 2013 Budget! | Laiki Bank: Some Depositors Are More Equal Than Others | The Lesson From Cyprus: Europe Is Politically Bankrupt | Cyprus Wealth Grab: The BIG TELL! | Jim Willie’s “Most Important Article Ever”- USDollar: Ring-Fenced & Checkmate -this is a newsletter from financial investor Jim Willie who is following events very closely for many years and suggests that Cyprus is the trigger for much larger events and thus is an important piece of a much larger jigsaw. It is intriguing to say the least. Runaway Global Warming May Have Started. Has Arctic Methane 'Bomb' Just Gone Off? All the worry about Global Warming has tended to focus on carbon dioxide emissions but the real threat may be methane emissions.... In the past 5 years there have been major changes happening up in the Arctic. 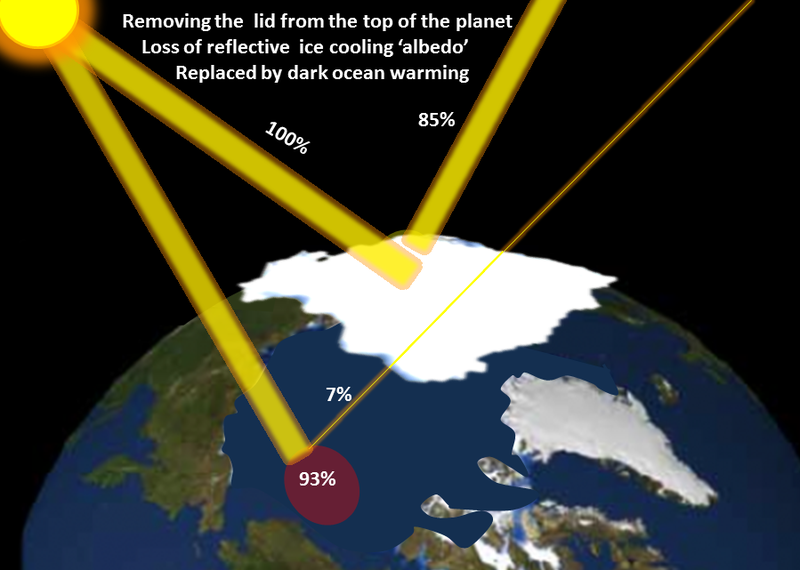 The annual summer melt of the sea ice floating on the Arctic Ocean has greatly increased, exposing a much larger area to heating during the summer months which in turn has warmed the ocean enough that the frozen methane hydrates on and below the seabed are beginning to melt, causing methane gas to bubble to the surface. 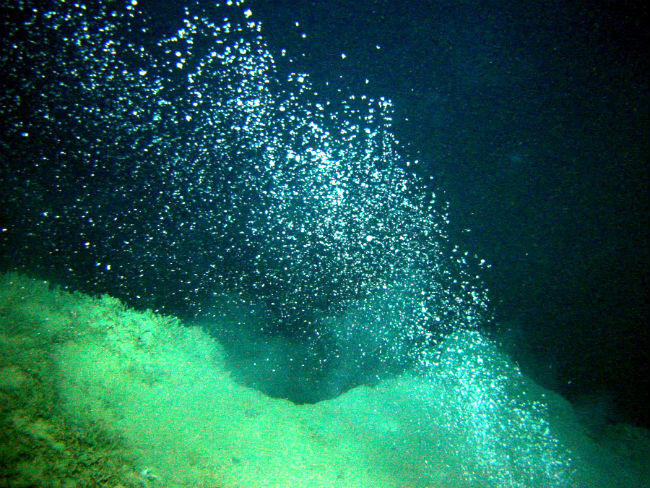 The trouble is methane is up to 100 times (over initial 20 year period of release) more effective than carbon dioxide as a greenhouse gas and the estimated quantity of methane hydrates suggests the amount of carbon contained in them exceeds all the coal, oil and gas burned so far. And should the tundra melt in Siberia then the huge area of peatland will resume decomposing thereby emitting a very large quantity of carbon dioxide. This scenario would take us past extinction danger point which is reckoned for a rise of 6oCelsius or more would be close to certainty. Arctic May be Ice-Free in Summer of 2070 -This is from 2004 and shows how quickly events have moved on. The Commandante is dead but the Revolution continues. If there is an afterlife then Chavez is in Valhalla. He wrote, he read, and mostly he spoke. Hugo Chávez, whose death has been announced, was devoted to the word. He spoke publicly an average of 40 hours per week. As president, he didn't hold regular cabinet meetings; he'd bring the many to a weekly meeting, broadcast live on radio and television. Aló, Presidente, the programme in which policies were outlined and discussed, had no time limits, no script and no teleprompter. One session included an open discussion of healthcare in the slums of Caracas, rap, a self-critical examination of Venezuelans being accustomed to the politics of oil money and expecting the president to be a magician, a friendly exchange with a delegation from Nicaragua and a less friendly one with a foreign journalist. External Links: The Revolution Will Not Be Televised (a.k.a. 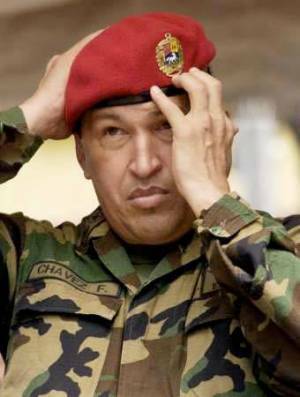 Chavez: Inside the Coup) is a 2002 documentary about the April 2002 Venezuelan coup attempt which briefly deposed Venezuelan President Hugo Chávez. A television crew from Ireland’s Radio Telifís Éireann happened to be recording a documentary about Chávez during the events of April 11, 2002. 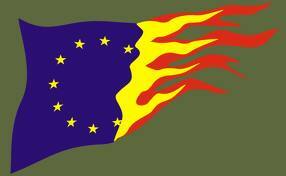 Where we are on the 40th anniversary of joining the EEC. All States and aspiring States have their myths of origin. The myth of origin of the EU is that it is a peace project to prevent wars between Germany and France - as if a tendency to go to war is somehow genetically inherited.